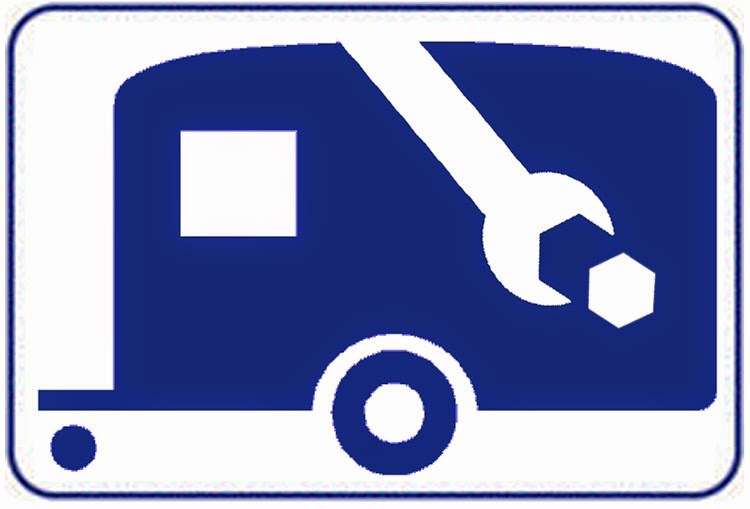 If you're in need of repair to your RV, Howdy Ranch RV has certified technicians to service your RV needs. 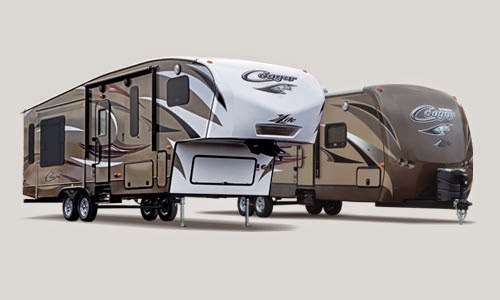 We have a 5 bay shop that can accommodate Class A motor-homes, Fifth Wheels, so we have plenty of space to service your trailer. 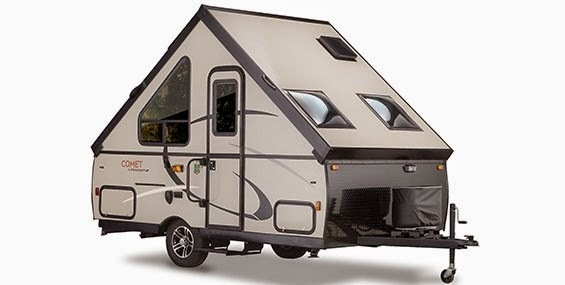 We service pop-ups and travel trailers as well. We do insurance work for damage and work with most insurance companies. 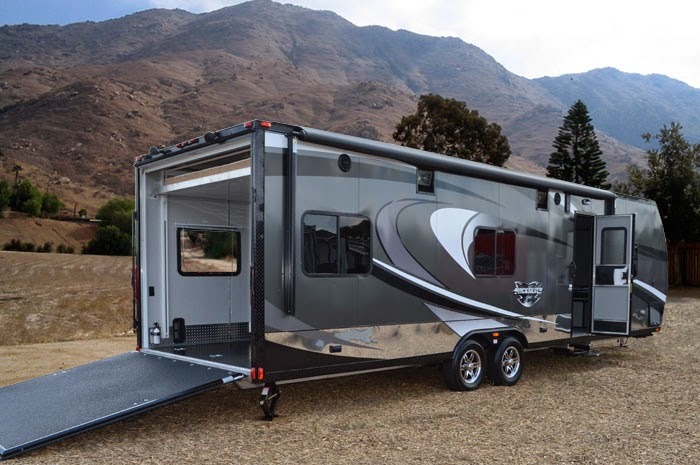 RV repair done by professionals will give you the peace-of-mind your trailer will be serviced right. Outside Service, Service Calls at your location. 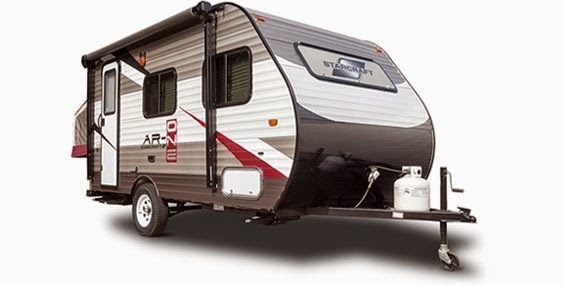 We work with most extended warranty companies, so if you're traveling and need help, Howdy Ranch RV is your hometown service center locally or away from home! 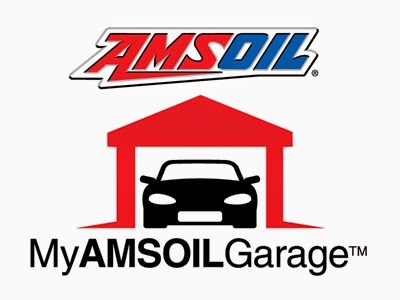 Learn more about AMSOIL Products! With the popularity of boating and fishing on the rise, premium AMSOIL synthetic lubricants keep you on the water. Research into the marine market reveals boating is on the rise, with the National Marine Manufacturers Association (NMMA) reporting a 2 percent increase in sales of new and used boats between 2008 and 2012. In addition, 37.8 percent of the population participated in recreational boating in 2012, a 6 percent increase from 2011, while the 2012 Special Report on Fishing and Boating reports that fishing remains the most popular recreational activity in the country, surpassing running, camping, hiking and biking. Boat applications can be broken down into three primary methods of propulsion. Available in both two- and four-stroke designs, outboard motors are self-contained units (engine, gearbox and propeller/jet drive) that mount outside the hull of the boat; inboard motors are enclosed within the hull; and sterndrive (inboard/outboard) designs situate the engine forward of the transom, with the drive unit outside the hull. According to the 2012 U.S. Coast Guard Recreational Boating Report, 67 percent of registered mechanically powered boats are powered by outboard motors, while 20 percent feature inboard motors and 13 percent have sterndrive motors. AMSOIL products are ideal for boaters because they effectively reduce time and money spent on maintenance and increase fuel economy. In fact, research reveals maintenance and fuel costs are foremost on the minds of boaters. The top three reasons ex-boaters cited for giving up their boats are cost of maintenance/ storage (37.8%), cost of fuel (27.8%) and time constraints (17.8%). Email reminders may be scheduled for any maintenance service performed on a vehicle or piece of equipment, including manually entered services. Each reminder can be individually scheduled to send on a specific date. A reocurrence schedule can also be set for every three, six or 12 months, or “never again.” A useful feature allows email reminders to be sent to a secondary email address only, allowing Dealers who manage customers’ vehicles to avoid flooding their own inboxes with email reminders. 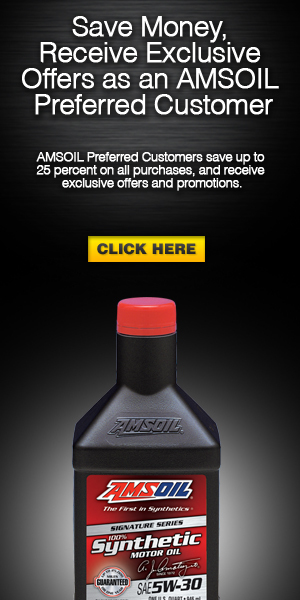 More information about becoming an AMSOIL DEALER click here. · The North South Straight Away – Built in 1955, it provides a three-lane, 3-mile-long road without twists so that a car can reach its maximum speed. There is a high-speed turnaround on either end of the straight away. · The Milford Road Course – Developed in 2003 under the leadership of Bob Lutz, the former GM vice chairman who wanted the Proving Ground to have a road course to emulate specific sections of race tracks around the world. The 2.9 mile course consists of 17 turns, each designed to test specific performance requirements along with significant elevation changes to ensure the vehicle performs under all suspension and aerodynamic-load conditions. The straight away allows for testing at speeds above 150 mph. 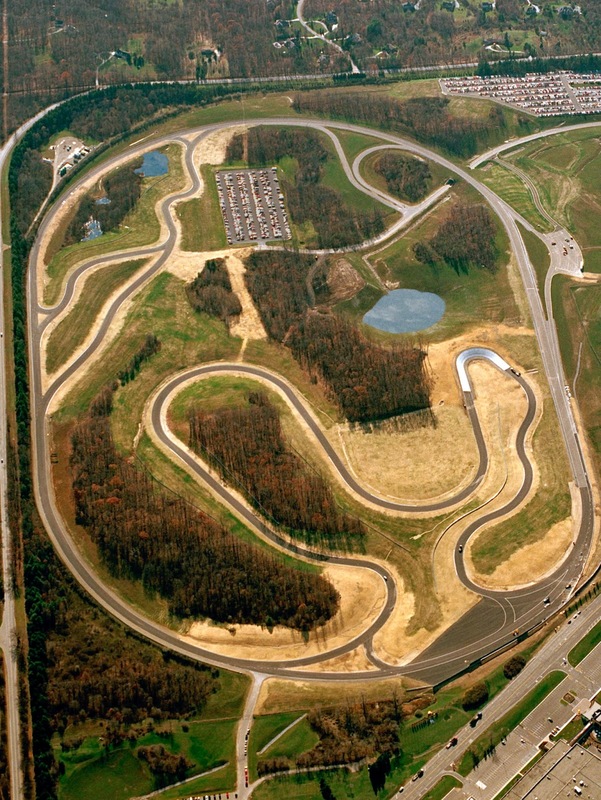 · Black Lake – Built in 1968, the 67-acre asphalt surface allows engineers to develop and refine traction control, electronic stability control and brake performance. By moistening the lot with a water truck, engineers can replicate wet road conditions. · Ride and Handling and Noise and Vibration roads include the Fenn Holden area (named after the first director of the Proving Ground), the Oval track, and the Ride & Handling/Noise & Vibration loop. 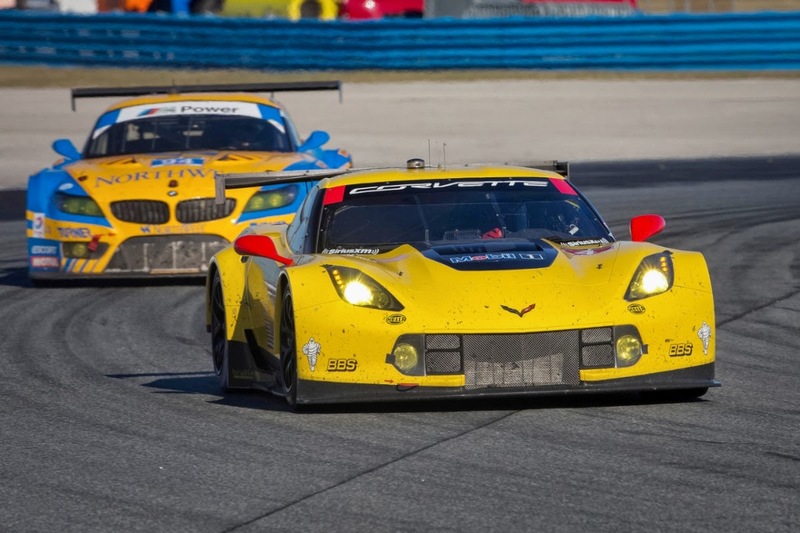 DAYTONA BEACH, Fla. (Jan. 25, 2015) – Corvette Racing returned to Victory Lane for the Rolex 24 At Daytona on Sunday, scoring a hard-earned GT Le Mans class victory in the opening race of the 2015 TUDOR United SportsCar Championship. Antonio Garcia, Jan Magnussen and Ryan Briscoe won in their No. 3 Chevrolet Corvette C7.R in Corvette Racing’s second race back at Daytona since 2001. “This is my second 24-Hour race with this team," said Mark Reuss, GM Executive VP of Global Product Development, Purchasing & Supply Chain. "To come here to see the Z06 in its second year win at Daytona is special. It has been a long time since this team has won at Daytona. Everybody on this team worked so hard and it shows. They never gave up, and there were a couple of things that went wrong as they always do in a 24-hour race. The car and the drivers and the team, they worked so hard, and it all came together. The harder you work, the luckier you get. So here today with the C7.R, just so proud." Jim Campbell, U.S. Vice President Performance Vehicles and Motorsports added: "To have both of the Corvette C7.R teams on the GTLM podium for the Rolex 24 Hour is a testament to the Never Give Up attitude of the crew and drivers. Oliver Gavin, Tommy Milner and Simon Pagenaud continually battled back from adversity to get a podium finish. NATE SIEBENS: Let's slide over to the GT Le Mans winners. Let's start with the trio from the No. 3 Corvette Racing Chevrolet Corvette C7.R. It's the team's second Rolex 24 at Daytona win, first since taking an overall victory in 2001. It's also Antonio Garcia's second Rolex 24 win where Jan Magnussen and Ryan Briscoe, both this is their first win. Ryan, let's start with you. How does that new Rolex feel? RYAN BRISCOE: It's beautiful. I've been coming here since 2005, so yeah; I wasn't a big fan of this place until now. It's just such a tough race. Jan and I were talking about it before we came in, for both of us it's the first time we've ever done the race without going back to the garage. I think that was a huge part of us winning today was staying out of trouble. There's so much action all race long. I felt like it was a sprint race out there from the word go, in our class at least, and the racing was very good but very tough, a lot of fun, but very hard‑fought. I think the key was keeping our nose clean, having a fast race car at the end of the day. ANTONIO GARCIA: Not really. Every time you win here it's very, very special. I've been chasing this victory since 2009, even if I won it back then. This is a very unique race. The first race of the year, so it's very difficult to be at 100 percent right away for the team, for the drivers, and it was just a normal perfect race ‑‑ not normal I have to say. Everything ran perfect, and as Ryan said, we just kept our nose clean, and I had the best car to fight on the last eight minutes of the race. NATE SIEBENS: Jan, you've had other big wins obviously in your career, but maybe put into perspective getting this one here for the first time. JAN MAGNUSSEN: Well, it was a hard one for me to win. I've tried 11 times. I've always felt that I was within a shot of winning the race, but we always had to go back to the garage sometime to fix something, and that was the big thing this weekend was that we had a really, really fast race car, and we were able to push hard. We stayed out of trouble, no mistakes; no damage to the car, good pit stops, great pit stops, and that was the key to winning this race. Q. Early in the morning I think you and some other GTLM teams drove nearly identical lap times with the prototype cars. Do you think this new United SportsCar Championship and GRAND‑AM together, we can see or expect in maybe one of the next races a GTLM car taking the overall win? JAN MAGNUSSEN: I doubt that. This place is pretty unique. We have really long straights in the GT cars. The GT cars have quite good top speed, so that counts for us. I don't know that the tracks that we're going to that we will have a situation where a GT car can win overall, but that really depends on if they go completely berserk in the P class. Maybe. ANTONIO GARCIA: That's the good thing about this race. It's the first race of the season, and you have drivers coming from many other series. You have every single manufacturer has their best drivers coming here, and we show that, BMW, Porsche, Aston Martin, Ferrari. You couldn't see a better lineup overall for all the manufacturers here. And I think we show that. Since lap 1 all the way to the last lap, we showed that GTLM is very competitive and teams are extremely competitive, too, and you can't afford to do any single mistake. Very proud that I was in the right car, and we just did what we had to do, drive a perfect car. NATE SIEBENS: Gentlemen, congratulations. Thank you very much for joining us, and we'll see you all at Sebring. NATE SIEBENS: We're joined by our second‑ and third‑place finishers in the Prototype category. Start with our second‑place finishers today, defending race champions, the No. 5 Mustang Sampling Corvette DP. Christian, obviously you guys also won the TUDOR United SportsCar Championship Prototype title last year. Another strong start, but one position shy I guess this time. Your thoughts? CHRISTIAN FITTIPALDI: Well, pretty much what you said, one position shy, but at the same time, we'll take it because I think that from the get‑go we never had a perfect car, and we were struggling with the car during the whole race. We tried to make a couple of changes, but it got better, then it got worse, then it got better, but it didn't go completely our way, so we'll definitely take the points, and they are going to be very important for the championship, especially when it comes down to the last race of the year. You need the extra points, so maybe it's going to play in our favor. But very thankful to Chevy, Action Express, Mustang Sampling, they definitely put a whole huge effort behind the program. I'll tell you, this race is a lot of effort because you're pretty much preparing yourself the whole year for it, and everyone that's here obviously wants to win. We didn't today. Congratulations to the Ganassi boys. They had a perfect run, and let's move on to the next one. Thanks. It wasn't looking very good. We were three laps down for a long, long time, and we were kind of losing hope, but I think the team did an excellent strategy. The guys worked really well in the pit stand and did perfect strategy. I think we got two laps in one time, so put us back in contention. We were able to lead quite a few laps after that, after we were on the lead lap, and overall we were pleased with our result. If we can't win, then second is the second‑best thing. It's very important for the points in the future. The team has to be proud with what they have and where we come from. Three laps down is never easy to come back in such a strong field, but you know, we're pretty pleased with second place. SEBASTIEN BOURDAIS: Yeah, I guess for us, really when the sun got up, it started to get hotter and hotter, and we kind of ‑‑ we were halfway there when the night was there, and it got really cold, and the grip was a little better for us, and we could challenge a little bit, but when we were lacking grip, and that's been the story of the week and even at the Roar. Really, there wasn't much going on. I was kind of in for the last four stints and just did the best I could, but I wasn't too hopeful that I could give a shot to the 10 or the 02 because they were just plain quicker. I guess we just are really happy. There were mistakes made at the end, and you can always hope that something is going to happen and maybe you're going to end up in the lead, but you can't be that lucky sometimes. It's kind of a surprise that we got second from the 10, because really that means that we cannot win the race for the points because the 02 is not a championship car. It's a pretty good day for the team, and I'm just glad I could participate with the effort, and it's always great to race with these guys. NATE SIEBENS: Let's move over to our third‑place finishers before we open it up for questions. We'll start with Max Angelelli. This is your team's third consecutive podium result here at the Rolex 24. Obviously you were hoping to get a victory here on the 10‑year anniversary, I guess, of the one that you got in 2005. Share your thoughts if you would, please. MAX ANGELELLI: Well, first of all, I'm happy to be here, in the top three finishing especially, because Friday we thought we couldn't make the race. We had so many problems, electrical problems, and our guys, our team worked all night, and they solved the problem. They gave us an ultra-competitive car Saturday and Sunday, hot and cold, and it's been good. We were competitive, all three of us, and we fought like lions, and we are looking forward for the next challenge, the next race. JORDAN TAYLOR: Well, I haven't spoken to everyone, but I just know that you can't drive four hours in a six‑hour period, and I think we were creeping up on that. It was just a small miscalculation, I think, an unfortunate one because we were right where we kind of wanted to be, second place on the restart. I think we had a stronger car on restarts on cold tires, so it was a perfect opportunity to make something happen, but I mean, it's hard for us as drivers to complain too much because our part of this race is very minor compared to what they have to do. We've gone 72 hours now without going to the garage once, without losing a lap, so that's a testament to our team. We never have anything bad to say about them. NATE SIEBENS: Ricky, I'm sure you weren't expecting to be getting back in the car there, especially with so few laps and so few minutes to go. How long does it take you to get yourself geared up to jump back in there like that? RICKY TAYLOR: Yeah, I was not happy to be back in the car. The plan was always, we knew it was going to come down to making a little bit of fuel, and Jordan is the best out of the three of us at doing that. He's always been good at fuel mileage and maintaining a pace while saving fuel, so our engineer told me when I got out of the car this morning, I was probably done because I'm not so good on saving, and then the way it kind of fell down at the end was just a matter of ‑‑ they knew what they were planning, they knew the rule, it was just when Max had to get out of the car, the way the circumstance went, they were thinking of so many other things. There were just so many factors that went into it. I wasn't happy to get back in the car after Jordan there. RICKY TAYLOR: Well, this one is much harder than last year. We haven't had TC or the electronics working the entire weekend, and the guys had less than five hours of sleep the entire weekend, just working on the TC and working on getting all of our electronics working. Then we started the race, and it was all still not working and the engine was cutting out. We were having all sorts of electrical issues, and I thought, you know, we might not finish. We might never solve this issue if we couldn't solve it all weekend. But the guys did an incredible job. It was kind of an accumulation of all the things that they tried throughout the weekend, and then they finally nailed it on the first stop of the race and gave us an absolutely incredible car. It's just a shame that after all that effort we weren't able to produce a result for them. JORDAN TAYLOR: Not really. Last year I think the 5 car had us on pace, and we were kind of where we thought we would be. This year I thought we were really strong. The 02 was obviously strong, but if we had track position I felt like we could have raced them this year. I think having that last restart opportunity was like a golden ticket, and we haven't had that the past three years. MAX ANGELELLI: We schedule before and then we tweak based on the type of racing that we're facing. If it's a fuel‑based finishing, then we have Jordan, which is the best on that. It depends also on the weather, the car condition, and many things. But it's prearranged with little tweaks. JORDAN TAYLOR: I don't know, you look at these races, and it's crazy. I mean, you look at our car, we've got a couple scratches on it, and the stuff that, I mean, all these guys can say what a nightmare it is out there sometimes with some of the traffic. To have these two guys, like all three of us, I think we trust each other so much; we've been together for so long, even before Ricky and I were driving. To have that trust in a team, often during a 24‑hour the scariest part is going to sleep not knowing if you're going to wake up and your car is still going to be on the board. So I know having them with me, you can always go to sleep with positive thought. Q. Max and Ricky, what was it like in the pits when somebody had to fess up and say, I've screwed up, we didn't count all the hours for Jordan? What was it like in the pits there when that happened? RICKY TAYLOR: Nobody made a mistake. It was just they had calculated it, and just the way that we'd planned it for hours and hours and they knew exactly what we were planning to do, and it was just at that time the way the fuel stint had worked, it was such a close call, and we were thinking about ‑‑ we were just so busy thinking about the last tire stop, what we were going to do with tires, two tires or no tires or what. It was nobody's fault. RICKY TAYLOR: I don't know. I think it was like five or ten minutes or something. JORDAN TAYLOR: Yeah, well, obviously when you're about to restart with 10 minutes to go you're not expecting to get out of the car. I figured I kind of had an idea about what it could have been. There's no other reason for that to happen. One thing crossed my mind was maybe they made a change to throw my dad in there to finish off the race, but I had a pretty good idea. JORDAN TAYLOR: I saw him because I was passing him. He braked a little earlier than me so I went to the inside, and I spoke to Beaux Barfield yesterday morning about if someone is a little slower on the pit entry if you're allowed to pass, and he said in his eyes that's the racetrack until you get to that line. We were so early on our pit lane, he said it wasn't necessary for us to be in the high‑speed lane so I entered the pit next to the 5 and I got a tap on the right rear. I didn't think I did anything wrong. 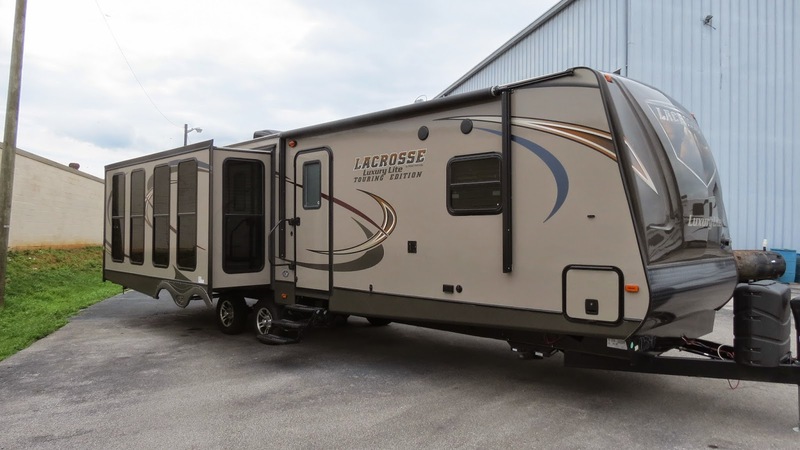 The RV lifestyle gives travelers easy access to parts of North America they may have never visited before. Mexico is one of those often uncharted but incredible places. Traveling south of the border offers a whole new array of RV communities, desirable temperatures, a vibrant culture and unbelievable scenery you just can’t find in the U.S. If you haven’t taken your RV down to Mexico yet, you’ll be amazed at how safe and enjoyable Mexico RV travel can be. Driving in Mexico may seem daunting at first, but road improvements south of the border have made getting from Point A to Point B easier than ever before. The driving laws and traffic signals are very similar to ours here in the United States, and U.S.-style toll roads make travel between larger cities easy and safe. It’s important to stick to the toll roads whenever possible, because the secondary roads can be unpredictable, much longer and often in poor condition. Unlike in the United States, you never want to drive at night in Mexico. This is because unmarked speed bumps (known as topes) are extremely common, and they can do major damage to your rig. Take a look at this handy “Driving in Mexico” guide before heading south of the border. Many RV travelers fear traveling in Mexico because it’s portrayed in the media as a dangerous country. Mexico, like the United States, has its safe areas and its dangerous ones. If you’re concerned about the safety of the area you want to travel, join one of many online forums for RV travel in Mexico. This is a great way to find an expat or RV community in the area you’d like to travel. You can also find out great information about the safety of the area and which routes are best for traveling there. 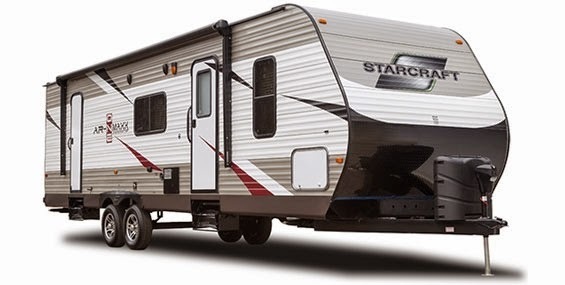 It’s important to do a lot of research before you plan your RV travels to another country. Pack plenty of maps and guidebooks to help you along your journey, and don’t forget to bring your RV. If you're a bike fan this is the Everest of Sport Bikes. January is National Soup Month, and there’s no better way to warm up on cool winter nights than with a hearty bowl of soup. 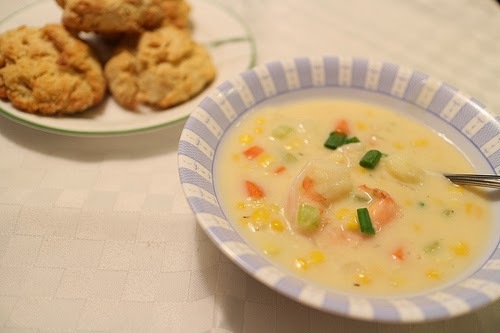 This hearty and delicious shrimp and corn chowder is guaranteed to warm and wow everyone at your dinner table. In a large sauce pot, melt the butter with the olive oil over medium heat. Stir in the celery, carrots, and onion, and cook until all of the vegetables are tender. Stir often. Set 1 1/2 cups of corn aside, and add the remainder to the pot. Stir in the chicken broth, thyme, pepper, sugar, and salt, and add 2 cups of water. Bring the entire combination to a boil. Reduce the heat, and allow your soup to simmer for roughly 20 minutes. Stir occasionally. Shell and devein roughly 20 shrimp, and set them aside for a garnish. Shell and devein all of the remaining shrimp, and cut them in half. In a 2-quart saucepan, boil roughly 2 inches of water. Stir in the 20 garnish shrimp, and continue heating until boiling. Reduce heat, and cook on low for roughly 1 minute. Drain the water, and keep the shrimp warm. In a blender, puree small batches of the soup until each batch is smooth. Return all of the soup to the large sauce pot, and stir in the half and half. When the soup is hot, stir in the sliced shrimp and allow the soup to cook on medium heat for roughly five more minutes. Separate the chowder into 10 bowls, and garnish them with fresh thyme and two whole shrimp. We would love to introduce you to AMSOIL Racing and performace products! Contact Bob Bruton our preferred customer program allows you to purchase AMSOIL products at wholesale pricing, call me for more information. Contact me today for more information, I am happy to help you!